In between watching Iron Man 2, celebrating Mother’s Day, and my birthday I tried to keep up with what weekend motorsport news. 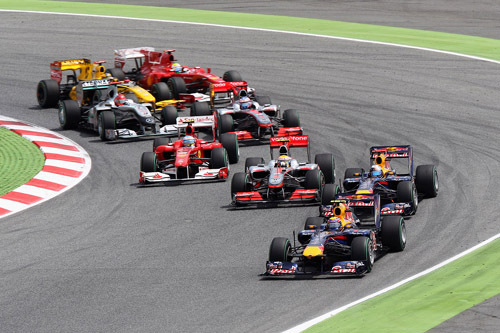 This weekend Formula 1 was back from its short break and ready to take over Barcelona, Spain. There were a few pics for the win in Spain, namely Fernando Alonso (Spain being his home track), and the young dynamo Sebastien Vettel (just because hes a badass). However it was Sebastien’s teammate Mark Webber who gave an absolutely dominating performance and took the win for Red Bull Racing. Can you believe it? Mark freakin’ Webber! Good job Mark! Check out a full race report from speed by clicking the red text.